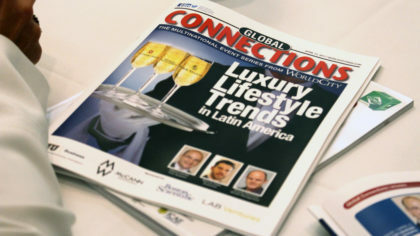 Luxury Lifestyle Trends: Characteristics in Latin American Wealth - WorldCity, Inc. Become a Global Connections Member today. Click here for more info. The wealthy in Latin America do not spend their dollars in the same ways as the wealthy in other parts of the world. 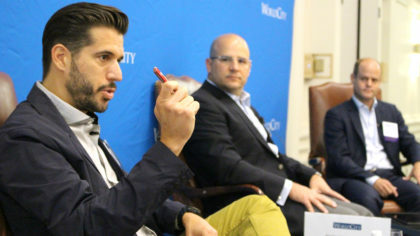 Tapping into those luxury lifestyle characteristics was what the latest event in WorldCity’s Global Connections series was all about. 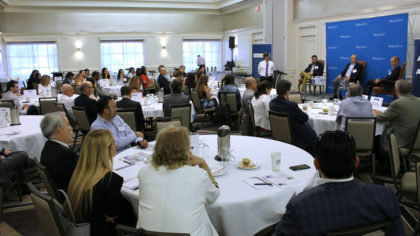 A look inside WorldCity’s Luxury Lifestyle Trends event, part of the Global Connections series, at the Hyatt Coral Gables. Miguel Carrillo, from Four Seasons Hotels, offers some insight into luxury brands. At Four Seasons Hotels (the birthplace of 24-hour room service and free shampoo), the staff does research on guests even before check-in, in search of providing that memorable experience and personal touch. “There’s an entire army of people trying to find out, in a non-intrusive way, as much information as we can on guests. Four Seasons has a morning meeting at 8:30 every morning all around the world. In the list (of guests checking in that day), there’s information we’ve obtained,” said Miguel Carrillo, Account Director for the Latin America, Caribbean & Bermuda Region at Four Seasons. That information could include if the guest is celebrating something or information from previous stays to personalize that next experience. “The worst thing you can do is sit down and try to sell right away,” said Carrillo, saying the goal is to touch the heart first, not the wallet. When it comes to wealth management in Latin America, tailor your services to the needs of each individual. 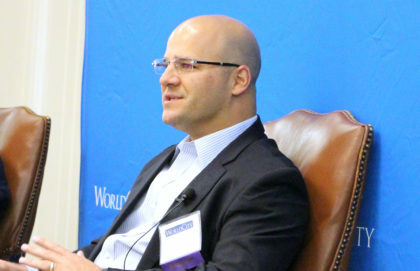 Wealth management consultant Ricardo Aizenman speaks at Global Connections. Panelist Ricardo Aizenman has more than 20 years of wealth management experience, including at prestigious Swiss bank Julius Baer, before starting his own practice in 2017. His advice in wealth management consulting is to not pretend to be an expert in everything. Have conversations and listen to the client’s needs and form a team of advisers, if necessary. Aizenman said it’s about becoming the “chief of staff” for that client and building trust. If the client needs a tax specialist, a good chief of staff finds an expert tax specialist and doesn’t attempt to render that service himself. Great luxury brands are not just product and brand; they need to have human resources behind it. Training the sales staff and brand ambassadors are essential to convey to story of that luxury brand to the consumer. For example, when you buy a luxury watch, it’s not just the watch. It’s the white glove treatment of assembling the watch so the consumer understands what he or she is buying. Marcos Zobel from Victorinox shares his thoughts at Global Connections. Zobel also told the story of meeting a Latin America sales team. That team’s goal was to sell $450 carry-on luggage, a team in which nobody had ever traveled. Training those individuals became critical to convey the brand’s story. It is not essential to have prior knowledge of a luxury brand in order to be successful at marketing and selling it. Four Seasons is a great example of that. The ability to do your job is something Four Seasons may teach. What they look for most are attributes like attitude, character, and passion. “This is kind of odd, but I feel that my (colleagues) are my second family,” said Carrillo, giving HR credit for finding those like-minded, enthusiastic people. 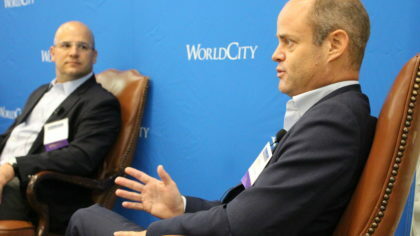 On May 19th, World City’s Global Connections series continues with a discussion on Billion Dollar Bosses. Don’t forget to register as well for the Trade Connections May 5th Luncheon and launch of World Trade Month, including the 17th annual release of Miami TradeNumbers.